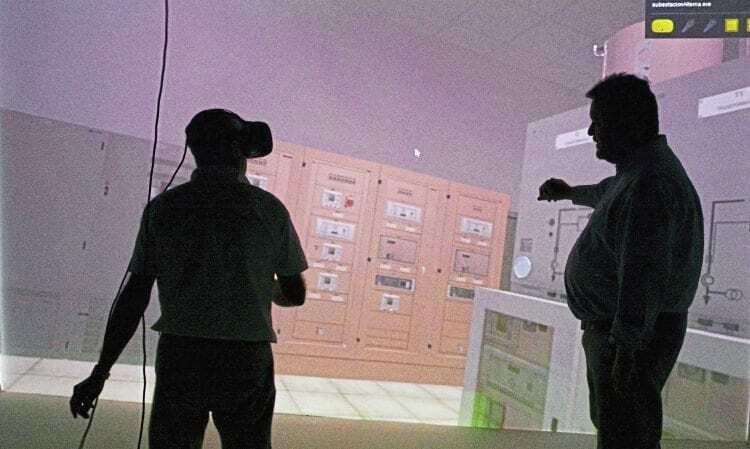 Adif’s virtual reality training room immerses students into realistic re-creations of actual locations – in this case a power supply substation. Spain’s high-speed network is impressive and puts Britain in the shade. More than 90% is built for 186mph operation, and includes Europe’s longest HS line at 700 miles from Barcelona to Malaga via Madrid, and the 15 mile Guadarrama Tunnel (the fifth longest in the world). In addition, infrastructure owner Adif – the Spanish equivalent of Network Rail – claims the time between the start of construction and operations is just four years, with tracking laying at up to 1.5 miles per day. With more than a quarter of a century of expertise in building, maintaining and operating high speed lines, Adif has a sizeable knowledge base it now offers to the world via classroom and computer-based schemes. Its main centre for infrastructure training is in Valencia, where the latest development is an immersive room that offers full 3D virtual reality.